THREE midwives marking Hull’s year as City of Culture have double reason to celebrate after their own babies were featured in the artwork. Handprints from midwives Carly Bowler, Alex McCann and Lois Donkin were used to create trees and branches holding baby footprints for the “Born Into a City of Culture” project. But the three women’s handprints have been featured alongside their own children’s footprints after their babies were born during 2017. The final panel featuring babies born in November and December and those who missed out on the chance to have their footprints taken on the months they were born will be unveiled at Hull Women and Children’s Hospital on Monday. The midwives are hoping to join other families at the Guildhall on Wednesday as Hull University Teaching Hospitals NHS Trust hosts a special celebration to mark the end of the project. Lois Donkin, a midwife at the trust since January 2016 and now part of the team at the Fatima Allam Birth Centre, became pregnant with baby Matilda after her handprint was used in the artwork. Matilda was born on August 24 and her footprint features in the fourth panel for July and August. “We didn’t know what it was going to look like, just that the midwives’ hands would be used for the tree trunks and the babies footprints would be the leaves,” Lois said. “I was so pleased when I found out both of us would be on it after I became pregnant. Carly’s son Frankie has just celebrated his first birthday after becoming one of the first babies to make it onto the canvas following his birth on January 11, 2017. “To be born in the year Hull was City of Culture was something special in itself,” said Carly, who started her nurse training at the trust in 2001 before becoming a midwife in 2007. Alex McCann has just joined the midwifery team at the Fatima Allam Birth Centre after returning to work from maternity leave following the birth of son Samuel on February 8, 2017. More than 1,500 parents and family members have snapped up tickets for Wednesday’s event at the Guildhall. City of Culture director Martin Green and the trust’s head of midwifery Janet Cairns will be among the guests and families will have the chance to be reunited with midwives who delivered their babies. There will also be health stalls giving information on children’s services, soft play for the babies and a chance to watch some of the images taken throughout the year. 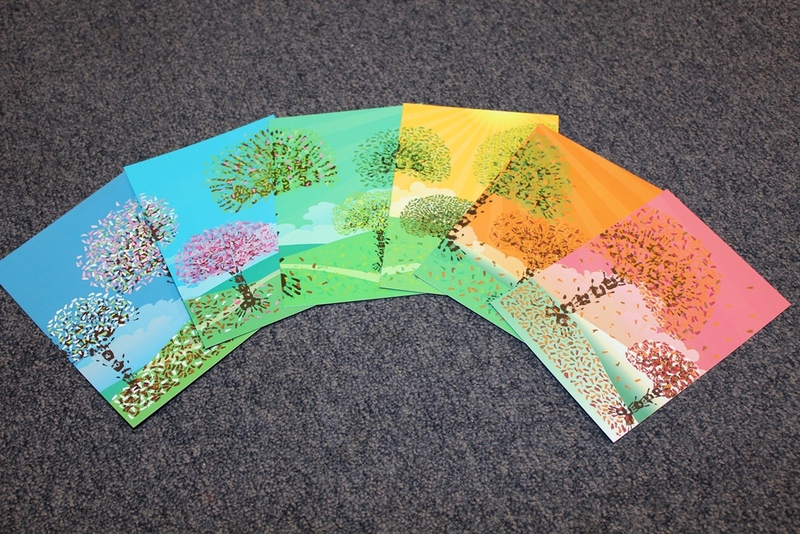 Families will be able to buy postcards for all six panels of the artwork either individually for £1 each or £6 for the full set. Prints of the artwork will also be available to buy for £7 each or two for £10. Limited edition canvases of the artwork will also be available to order. However, people attending the event are being reminded that it is a cash-only event and payment cannot be accepted by credit or debit card. Visit www.hey.nhs.uk/news/2018/01/09/need-know-born-city-culture-celebration for more details about the event.